2013 marks the 10th anniversary of the Stevie Awards for Women in Business, the world's top honors for female entrepreneurs, executives, employees, and the organizations they run. As we approach the entry deadlines for the 2013 competition we'll look back at some of the women who have won Stevie Awards over the past decade. We'll catch up with them on their current activities, and learn what their Stevie win meant to them and their careers. 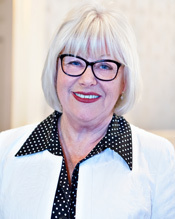 Today's profile is of 2011 Stevie winner Gwen Rhys, founder and CEO of Women in the City. Women in the City is a London-based organization that promotes, recognizes and rewards female talent. Women in the City started from a small idea – to host a luncheon for like-minded women working in a very male-dominated environment in the City of London, the city's financial center. By 2011, when Rhys won a Stevie Award in the Women Helping Women category, her organization had grown into a well-respected entity with a strong voice representing women working in the professions. Women in the City has since had a successful 10th anniversary year with a sold-out luncheon attracting nearly 400 attendees in November 2012. This year, Women in the City published a handbook for career-focused women, entitled Project Diamond: Bringing Brilliance to Business. Women in the City stages its own awards program, so Rhys knows firsthand just how important external validation can be in helping women to raise their profile both internally and externally. The entry deadline for the 2013 Stevie Awards for Women in Business is August 25. Complete entry details are available at www.StevieAwards.com/Women.